Brianna Lee Casterline, 22, Monroe Township, faces charges for flight to avoid apprehension, trial and punishment; manufacturer, delivery and possession of a controlled substance or intent to do same; intentional possession of a controlled substance; use/possession of drug paraphernalia; recklessly endangering another; resisting arrest by law enforcement; disorderly conduct and fighting; and driving an unregistered vehicle without insurance. According to a Dalton police officer, who was patrolling Nicholson with a partner on Sept. 7, Casterline was allegedly in the process of injecting drugs while parked in Pump’n’Pantry lot. 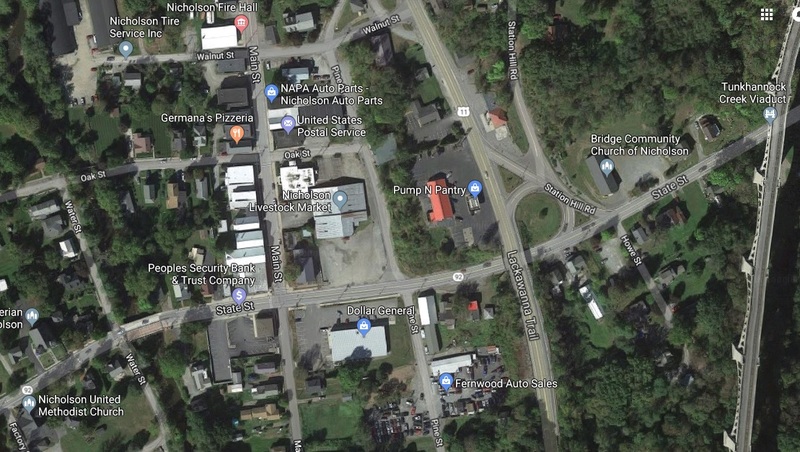 They ran the license plate and it came back “suspended.” They positioned themselves on Route 11 towards State Street and followed Casterline in her vehicle as she passed them to conduct a traffic stop. Casterline pulled into the parking lot of the Dollar General, where the reporting officer indicated she was making “futile” movements while finally drifting to stop. As the officer approached the driver’s side of the vehicle, Casterline exited the vehicle and attempted to run with a syringe in her right hand but was quickly taken down by the officer. When asked why she had attempted to flee, Casterline told the police that there were already active warrants out for her arrest. The officer suspected that the syringe contained methamphetamine, and an altered soda can held a piece of cotton saturated with what the officer assumed was heroin. Casterline reportedly consented to a search of her vehicle which yielded a plethora of additional drugs and paraphernalia, credit cards and other official documents belonging to various people, and parts to a .220-caliber long rifle that was not assembled. The reckless endangerment charge relates to her “erratic” behavior in the what the officer described as a busy parking lot. Casterline was transported to the State Police barracks in Tunkhannock to answer to additional charges there before being remanded to Wyoming County Prison.